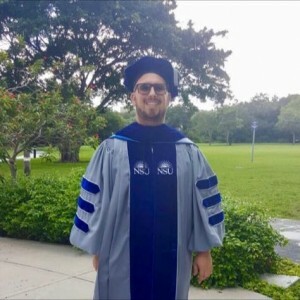 Jaime Anzalotta, Ph.D., doctoral graduate of the Conflict Analysis and Resolution program in NSU’s College of Arts, Humanities, and Social Sciences (CAHSS) was named Dean of Students at Miami Dade College, Wolfson Campus. Previously Anzalotta held the positions of Interim Dean of Students, Student Life Director, and Academic Advisor. He has also served as professor in the Social Sciences Department. Anzalotta’s passion for teaching, mentorship, and service have allowed him to engage his students in project-based learning opportunities outside of the classroom including Nicaragua, Tallahassee, Washington, D.C., and in Homestead, Florida. He is a strong advocate for human rights and is involved in advocacy for social justice issues affecting student engagement and success. Anzalotta is also a fellow of the National Community College Hispanic Council class of 2011, and a leadership Miami Fellow of the class of 2011. In 2011, Anzalotta became a fellow for the National Community College Hispanic Council as well as a Leadership Miami Fellow. In addition to his doctoral degree from NSU, Anzalotta has his bachelor’s and master’s degrees in Social Work from Florida International University. While at NSU, he proudly recalls serving as a teaching assistant for Marcia Sweedler, Ph.D., earning a service scholarship, and focusing his research on intrapersonal conflict in the LGBTQ community.